cynthiaflood.com / Canadian Women in the Literary Arts / Authors for Indies — Saturday 2 May 2015! Authors for Indies — Saturday 2 May 2015! You know that independent bookstores have taken a beating in the past decade or so. Here in Vancouver, remember Duthie’s, Peregrine, Granville Books, Women In Print, Hager’s, the Women’s Bookstore, Octopus, R2B2, and many more? All gone. This spring, an initiative called Authors for Indies seeks to give Canadian independent bookstores a boost. On Saturday 2 May, writers of all kinds will spend time at independent bookstores of all kinds, clear across Canada. Poet Elaine Woo, author of Cycling With the Dragon (Nightwood Editions, 2014) and I will support the Authors For Indies project at The Paper Hound, 344 West Pender, Vancouver, from 1 to 3 pm on Saturday 2 May. We’ll chat with visitors, answer questions, maybe make suggestions about reading — and if you like to have people read aloud to you, we’ll do that. 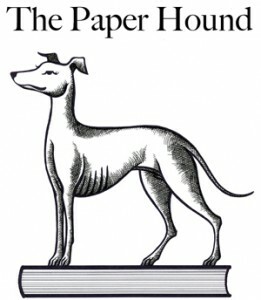 If you’ve not yet visited The Paper Hound, you’re in for a treat! An intimate, quirky space, filled with books brand new or gently used, and staffed by dazzlingly knowledgeable booksellers — for any book-lover, what could be better? If you can’t be in Vancouver, then find another independent bookstore in the area.